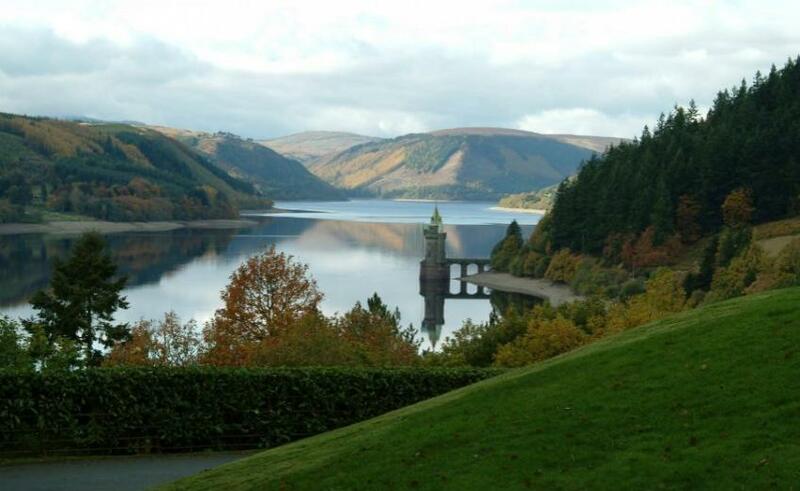 Lake Vyrnwy is the very definition of ‘hotels with views’. Utterly unspoilt, its craggy mountains, pinch-me clear waters and emerald forests provide all the natural good looks for Insta-snapping. Tie in the hotel’s other assets – country comforts, mouth-watering dining, shining service and spa delights – and you’ll understand why guests never want to leave. 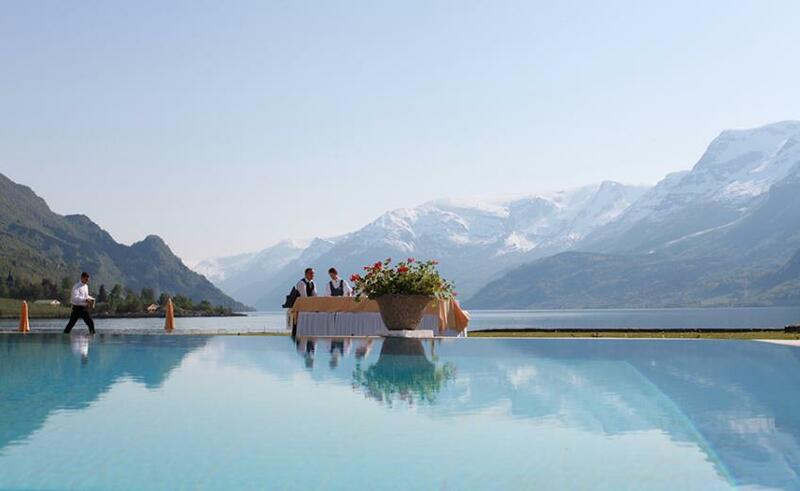 It’s a rustic glamour-lover’s dream, with five-star facilities and 12th-century history. 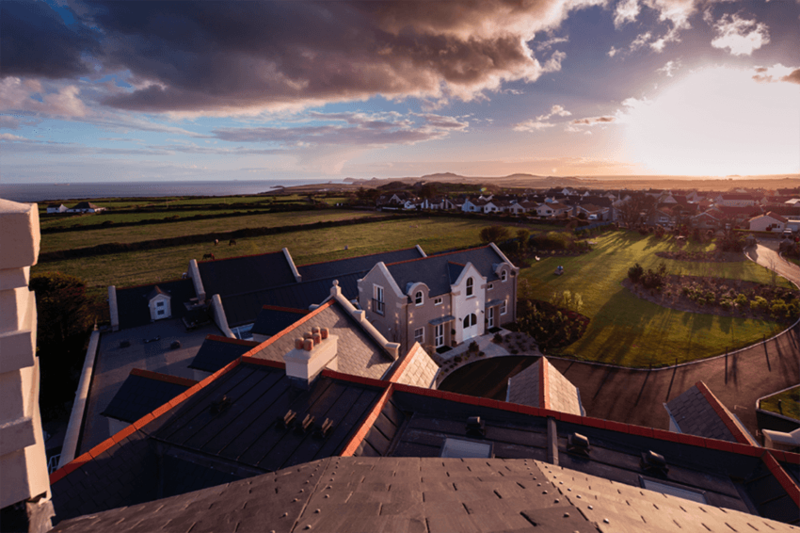 When you’re not fine dining at its two AA Rosette Blas Restaurant or cosying up in the bar, you’re encased in endless views over St Brides Bay and the glorious Preseli Hills. 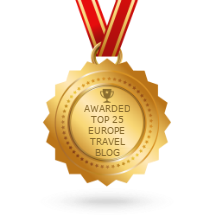 Don’t just take our word for it: Roch Castle was awarded the best five-star hotel in Wales for 2017 by Trivago and best serviced accomodation in the Conde Nast Johansens Awards for Excellence 2018. 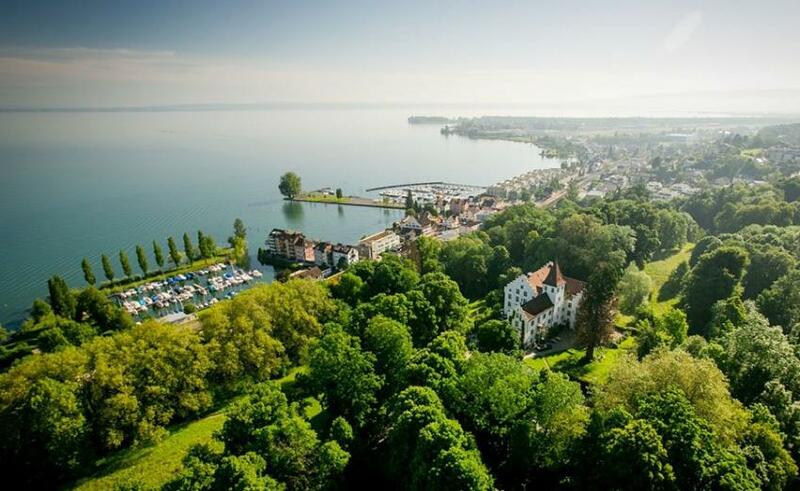 It’s a bit of a shock when you arrive at Schloss Wartegg, on the edge of Lake Constance. Instead of crowds and bustle, there’s just endless green, gentle streams, soft clearings and the castle’s peaceful sheep. Don’t fret if you can’t choose from the 25 individually designed rooms to stay in – whichever you pick, you’ll be inundated with views over the sparkling lake or verdant park. 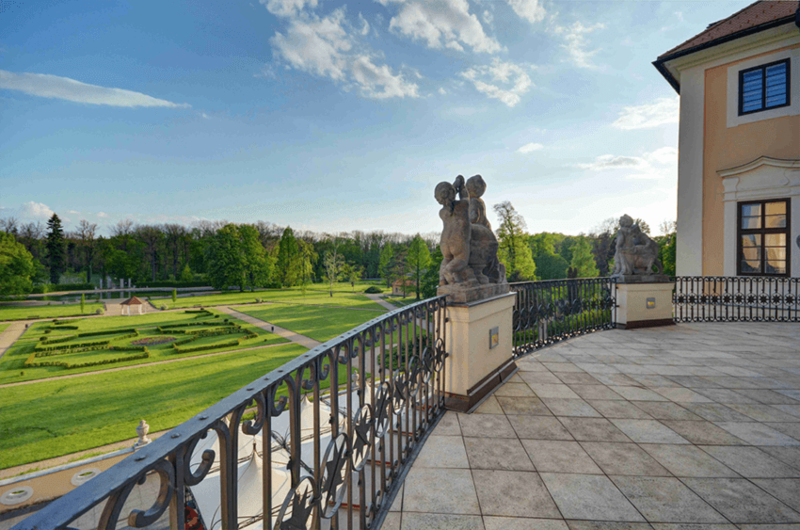 Everything about Liblice Castle Hotel is grand. 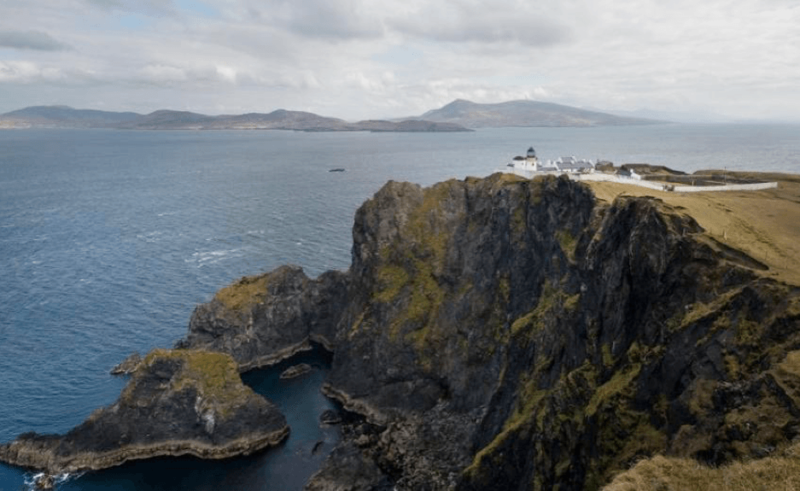 Ever been welcomed into a stay by a count, or arrived via a sightseeing helicopter ride into a castle garden? Based in the unique microregion of Mělník-Kokořín, this is a one-in-a-lifetime stay. After a show stopping entrance, book a night in award-winning hotel suites 103 or 105 for views fit for a king or queen. 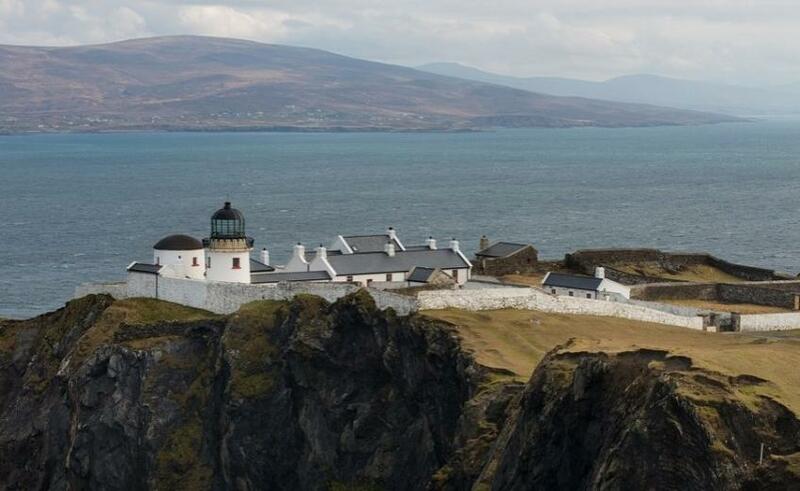 Standing guard to the entrance of Clew Bay, Clare Island is spectacularly serene. 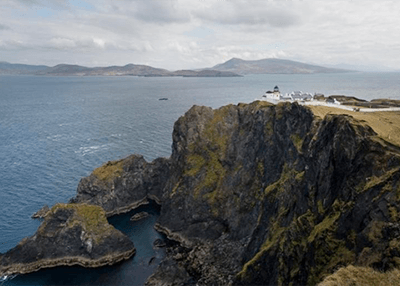 The nautical gem has been rooted to the craggy cliffs for almost 200 years and is one of the top hotels with amazing views in Ireland. Breathe in the vitamin sea and let your mind run away. 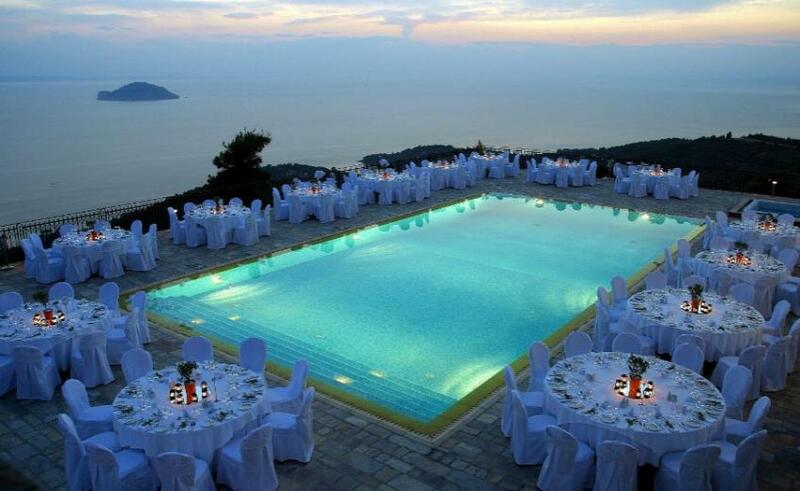 Imagine staying in your own Greek paradise – not the ancient, crumbling type, but a shiny luxury heaven. 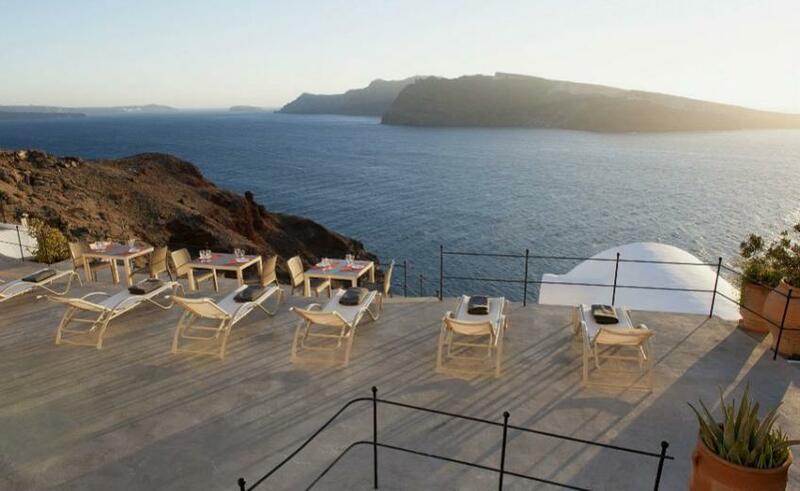 Esperas Santorini is one of the best hotels with views in Santorini, carved into the rocky cliffs of Oia and boasting glimmering panoramic views of the island. Sunsets here will blow your mind. Imagine waking up and dipping straight into crystal clear sea waters. 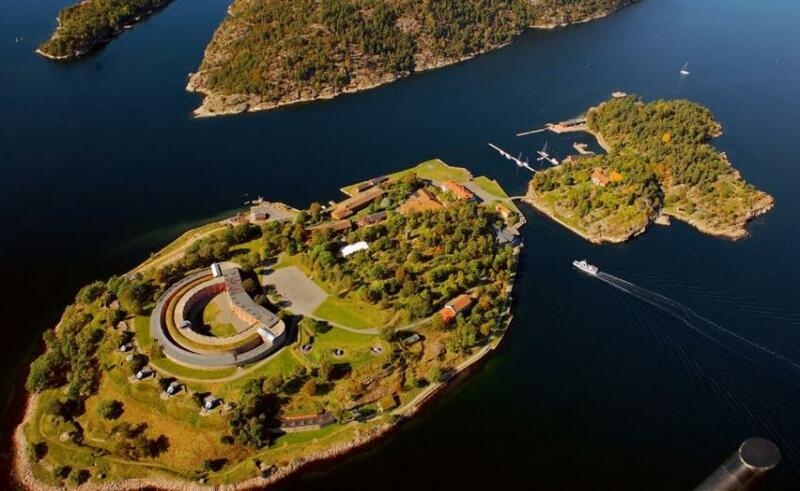 It’s a reality at Salt & Sill, Sweden’s first floating hotel. The views – magnificent granite rocks, traditional Bohuslän landscape and dreamy blue skies – will have you thinking ‘let’s book up again next year’ mere hours into your stay. Norway isn’t short of hotels with lovely views, but none of them quite pull off the loveliness of 19th-century gem Hotel Ullensvang. Every historic hotel has its claim to fame, but they often have the dated furnishings to match. This one inspired the work of old-world Norwegian composer Edvard Grieg, yet shrugs off the old-fashioned trend with swish interiors and super slick facilities throughout. You can get heartstopping sea views by the dozen at Villa Galini. Salvador Dali designed one of its bathrooms and the works of art don’t stop there – the natural surroundings are a masterpiece in themselves. Perched at the top of Mount Meliton, you’ll overlook thick forests and picturesque vineyards within the beautiful Porto Carras estate. Standing on the observatory of Twr y Felin Hotel, the mind is still and the heart is happy. Originally built in 1806 as a working windmill, the quirky stay is not Wales’ first contemporary art hotel. 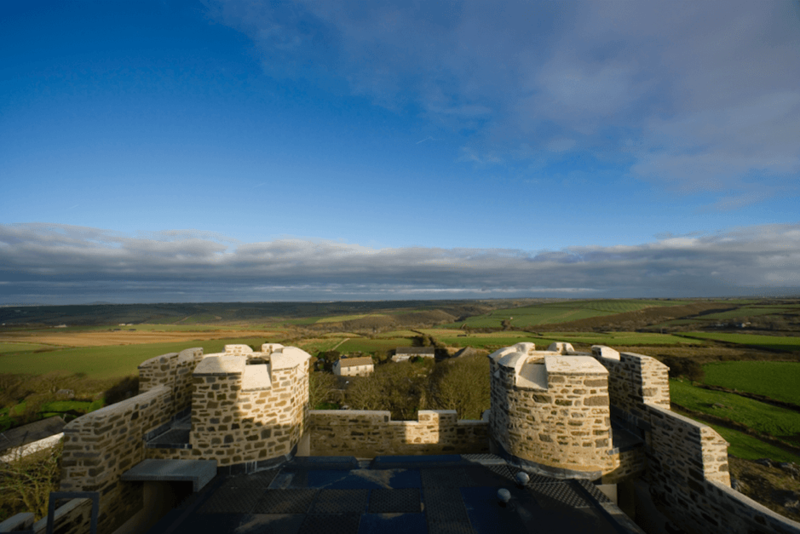 Its feature room ‘Tyddewi’ sits in the site’s original windmill tower, offering astonishingly 360 degree views of St Davids Peninsular from it’s very own observatory (pictured). This modern retreat is actually three centuries old. 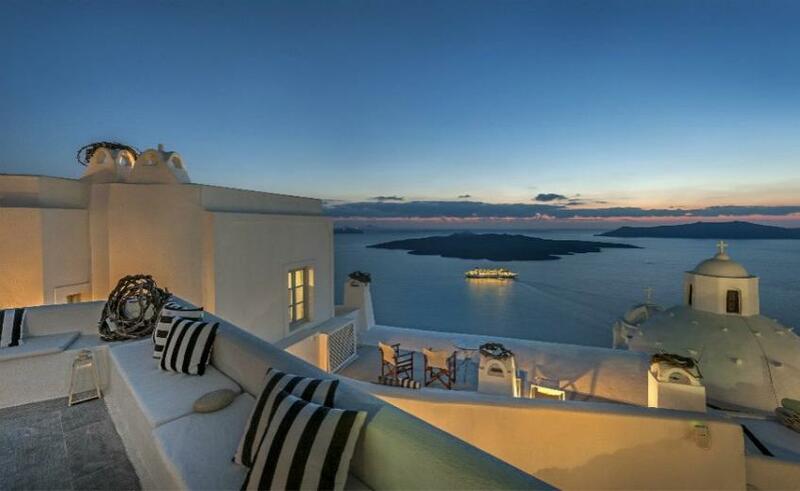 But far from a dusty old relic, Aigialos Hotel Santorini is one of the most romantic hotels with views in Santorini. Comprised of 16 neoclassical houses, you’ll look out onto dazzling vistas where earth, sea and sky meet. 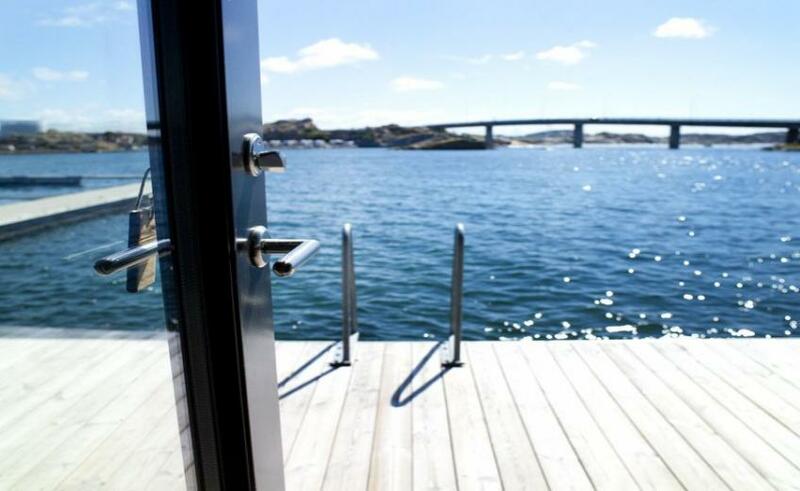 As the only hotel in the heart of Farsund, Rederiet Hotell may not have any competition – but anyone who has stayed here knows it’s tops the very best hotels with views in Norway’s south coast. This hidden gem goes back to the 1950s, when it was built for shipowner Andrew Glastad in contemporary Functionalist style. He was a clever man for choosing the location: the view from the hotel is the glorious Farsund harbour twinkling in the sunlight. Some days a hideaway just isn’t enough. Some days you need your own island. 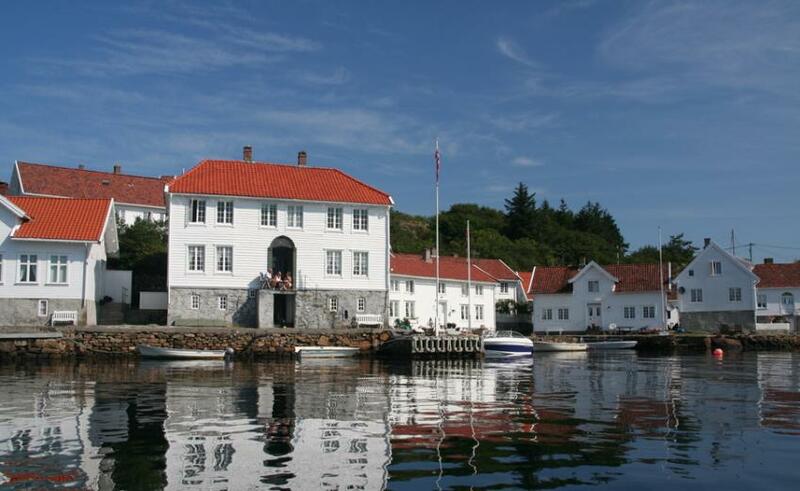 Stay at Oscarsborg Hotel & Resort – one of the most unique hotels with views in Europe – and feel the historic bolthole get to work on your body, mind and soul the minute you step off the boat. Rustic, wild and mesmerising, Fryksås Hotel & Guesthouse is just the place to stay when you’re in need of recharging. 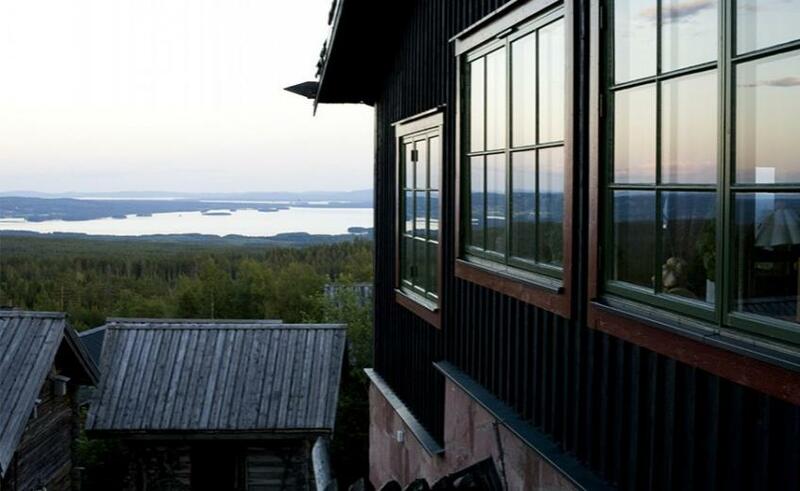 The intimate 16th-century Swedish hotel boasts postcard-perfect views of Lake Siljan and Siljan’s calming countryside – spend a night in one of its modern cabins with jacuzzis and saunas to completely reset.